3' of extremely flexible (Shore A, 57), Tygon? F-4040-A Fuel and Lubricant Tubing simplifies installation, even in tight places. 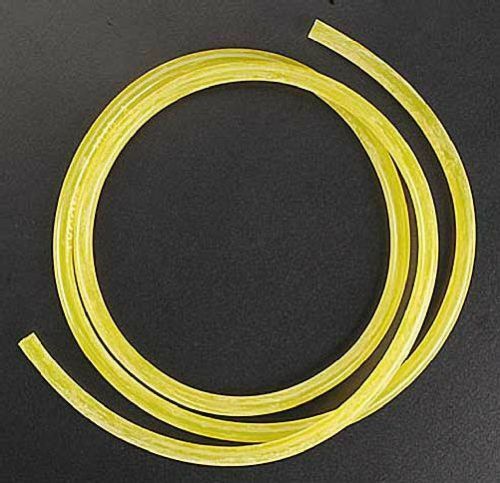 It is translucent yellow for positive identification and to allow easy flow monitoring. It is routinely used to handle gasoline, kerosene, heating oils, cutting compounds and glycol-based coolants. Approx Weight: 0.00 lb. / Per Ft.